The Ultimate Fighting Championship was the brainchild of Rorion Gracie, an expert in Brazilian jiu-jitsu (BJJ), and Arthur Davie, an ad man. Gracie wanted to promote his family's martial arts school, which focused on techniques that would work in a real fight and discarded any that were meant more for show or style. Before working on the UFC, the Gracie family had become legendary for "the Gracie Challenge," an open invitation for experts in any fighting technique to face off against a member of the Gracie family or one of their students in a real fight. Davie pitched the idea of a martial arts tournament to Semaphore Entertainment Group. In this tournament, experts in different martial arts disciplines would face off against one another to determine which style was best. Reportedly, it was an SEG employee named Michael Abramson who coined the name "The Ultimate Fighting Championship. 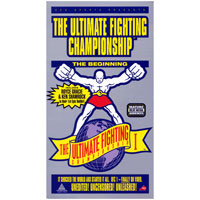 "On November 12, 1993, the SEG debuted the first UFC event. The event was in a tournament format (most early UFC events followed suit). The winner of a match moved up in the tournament to face another opponent. Davie designated some fighters as alternates in case a fighter was unable to continue. The tournament featured masters in karate, kickboxing, boxing, jiu-jitsu and even Sumo wrestling. Royce Gracie, Rorion's younger brother, eventually won the tournament after he caught Gerard Gordeau in a rear naked choke in the final bout. The event was a success, and immediately SEG began to plan more tournaments. SEG decided to keep the Ultimate Fighting Championship name and would designate almost all future events by numbering them sequentially (UFC 2, UFC 3....) Early UFC events were very different from modern ones. There were no weight classes -- a smaller fighter might find himself facing a Sumo wrestler. Weight classes would be defined for the UFC 12 tournament (though they would be refined several times). Fighters could wear clothing traditional to their fighting style (such as a gi for jiu-jitsu). The UFC experimented with how long rounds should last, and a few early events had no limit on how many rounds could be fought -- they wanted fights to last until a clear winner emerged. The style versus style format faded away gradually. Most fights would end up on the ground, and many of the disciplines represented in early UFC events had no focus or training in ground fighting. 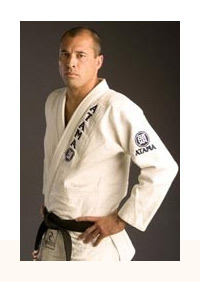 Royce Gracie won three of the first four UFC tournaments and proved that a ground game was necessary to be successful. Fighters began to adapt, expanding their repertoire of styles to include elements of wrestling and submissions. Events featured fewer black belt martial artists - the UFC quickly discovered a black belt didn't necessarily mean the wearer was a good fighter.